I like cooking my family and my pets. 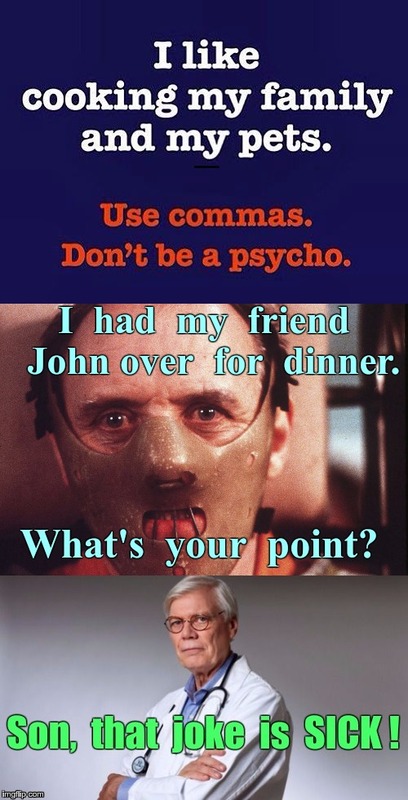 Use commas. Don't be a psycho. I had my friend John over for dinner. What's your point? Son, that joke is SICK!